If your business is in the Denver area, nobody needs to tell you that business is booming. 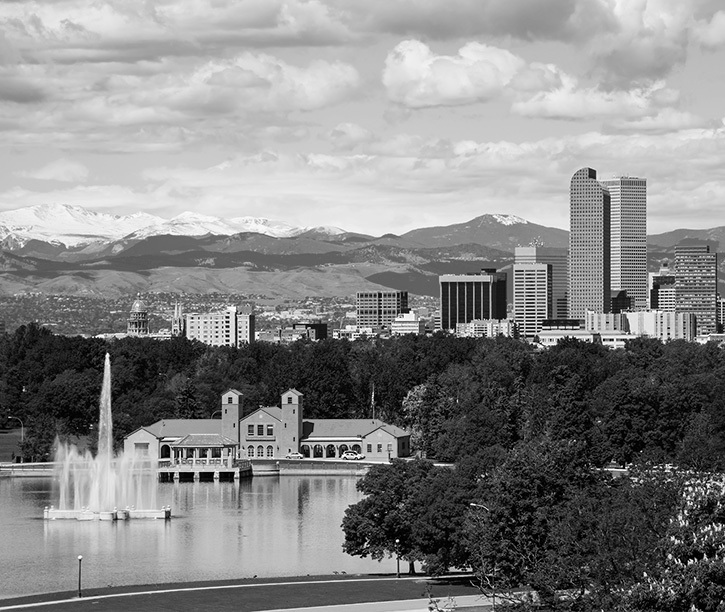 As a Denver marketing company, we are proud to be a small part of the growth and excitement that goes with operating in this beautiful and economically vibrant part of the country. SEO (search engine optimization). We manage local campaigns and broad, national campaigns. If you are looking for a higher organic search profile in Denver, multiple markets or across the country, our SEO team will give you a fully customized strategy, precise execution, and transparent reporting every step of the way. PPC (pay per click). PPC campaigns offer relatively fast results, and can be improved and strategically adjusted quickly. We manage all types of campaigns, from simple test campaigns to highly complex ones involving tens of thousands of keywords. Email marketing. Email is still very effective, but must be executed to near perfection to succeed. This Denver marketing agency has been doing just that for clients with a multitude of campaign objectives and content strategies. 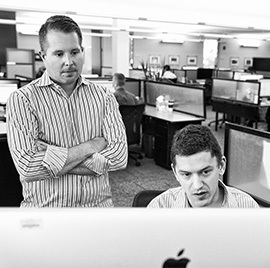 From list management to testing to creative to analytics, our team is your turnkey solution. Sales collateral. With strong graphic and web design capabilities, we produce printed sales brochures, folders, presentation books, trade show exhibit graphics and other materials — downloadable PDFs, slide presentations, and infographics. Straight North has a large staff of full-time marketing professionals, including web designers, graphic designers, back-end developers, front-end developers, copywriters, editors, marketing specialists, project managers and analysts. Our way of doing business is focused on building long-term relationships with our clients. With that always in mind, we provide clear but detailed campaign reporting, tell you about campaign problems or challenges as soon as we spot them, and offer as much schooling on the technicalities of online marketing as you are interested in learning. A dedicated account manager will be your main point of contact with Straight North, an experienced marketer with strong abilities in communication and project management. Although you are free to talk to anyone at our Denver marketing company, your account manager is there to make sure campaigns run smoothly and you have no questions that go unanswered. If you are looking for ways to give your marketing a big boost, please contact us now. We are eager to learn more about your objectives and discuss whether we would be a good fit. Contact us now for more information or to get a proposal. Our toll-free phone number is 855-883-0011. Click here to request a quote.